Our insurance brokers turn to us for federal, state and insurance carrier compliance, rate analysis, and customer service support. 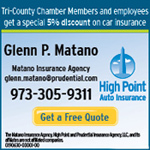 Our independent agents and brokers do not represent an insurance company... they represent the client. They have the freedom to choose among a variety of plans from an array of highly rated companies. Your interests and concerns always come first. Hanson & Ryan handles all types of insurance both commercial and personal including life and health. We are able to identify the best coverage for you and simplify the insurance process. We have an inherent understanding of the businesses and individuals we serve. We’re your neighbors, your friends, and even your customers. We hold unwavering belief that contributing to our community makes a difference. In over a century of involvement in the insurance business the Agency has clearly demonstrated its integrity, ability and commitment to its clients, employees, profession and community. That resolve has helped the Agency enjoy the highest respect and reputation in the community and with its peers.